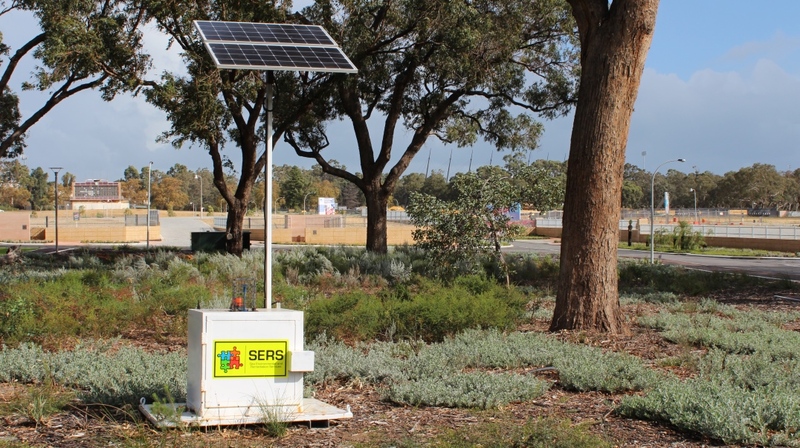 SERS provided 3 x permanent PM10 dust monitoring stations to the site for the duration of all works to satisfy the client in their obligations to Landcorp and the Department of Environment Regulation (DER). Our works included the provision of three stations onsite providing 24hr 7 day a week real time monitoring to nominated personnel. Works involved the provision of all maintenance and calibrations to the units which were purpose built by our technology partners Pacific Data Systems out of Brisbane. Fortnightly reporting was provided to the client in a user friendly format with all data referenced against the national criteria for dust emissions (NEPM). Dust monitoring and reporting was a critical component of the works that assisted the developer (Landcorp) in offering firm data to surrounding residences in demonstration of site dust management strategies enacted by the contractor Georgiou. As the development was not supported by the majority of the local community, quantified demonstration of dust management measures was an important pillar for community relations. Our client was provided with cost efficient PM10 dust monitoring which enabled them to be compliant with their contractual obligations. All monitoring services were all encompassing with no hidden or on charges for the client to consider.